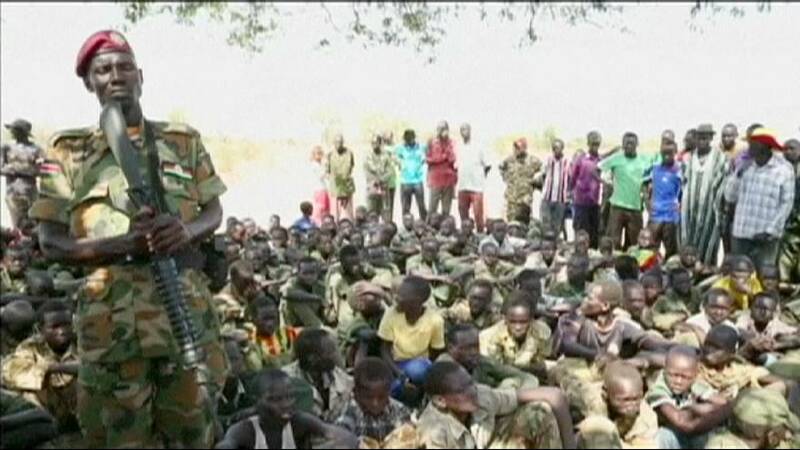 There is freedom at last for more than 200 child soldiers in South Sudan. This is the first of more than 2,000 children expected to be disarmed and reunited with their families as part of a peace deal. The government of South Sudan signed an accord with the leader of a militia in the troubled Jonglei State. The child soldiers, aged between 11 and 17, are to be released in stages over the next few weeks. The UN Children’s Fund estimates that some 12,000 children have been recruited by South Sudanese armed groups in the past year.